Bad day? 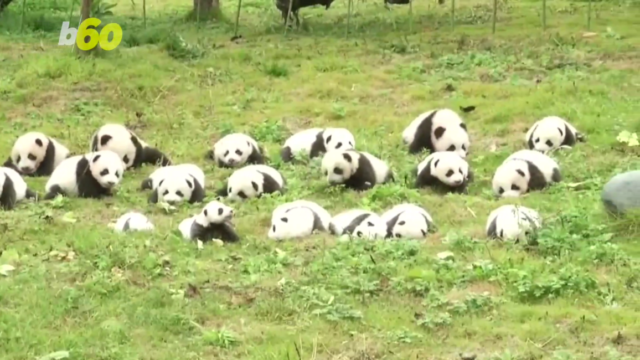 Here are a load of new baby panda cubs to rectify that. Last Friday, a total of 36 brand new cubs were taken out for the first public appearance. One batch of 19 come from the Shenshuping breeding centre in the Wolong National Nature Reserve, where keepers took them out for their big debut. On the same day, 17 other cubs were shown to the public in the city of Ya’an, at the Bifengxia breeding centre. The video above shows both batches. The youngest of the cubs is only a month old, and the eldest is about five months old, the facility said in a statement to the press.